At a press conference addressed by NRM deputy Secretary General Richard Todwong, Deputy Treasurer Kenneth Omona and Part EC chairman Tanga Odoi, elections for LCIII chairpersons, LCIII councilors, LCIII women councilors, LCV councilors, municipal councilors, division councilors and city division councilors for Buganda and Kampala will take place on October 12. “On 26/11/2016, primaries for Constituency MPs, Woman MPs, LCV chairpersons, Lord mayor and Municipal Mayors,” A press release signed by Mr Todwong and Dr. Odoi reads in part. Elections for LCIII chairpersons/councilors and district councilors for Bushenyi and Kanungu Districts will take place at date to be agreed on after meeting elders and stakeholders of the two districts on the 15th and 16th for Bushenyi and Kanungu respectively. 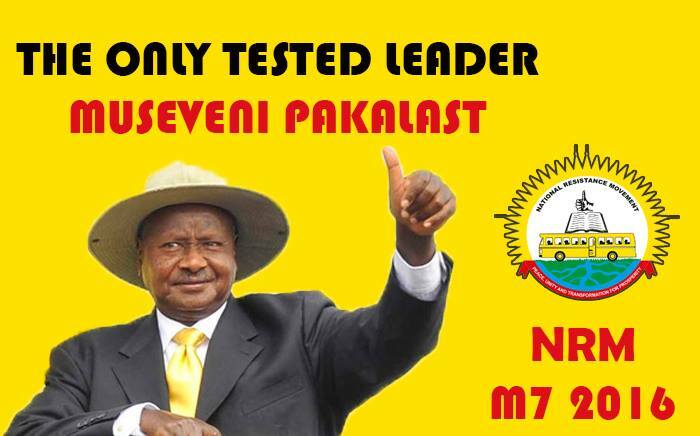 Elections for Kyeizoba NRM 111 will take place on Saturday October 17. At the same media briefing, it was announced that the first meeting of the third national conference will take place between October 30-Nov 2nd at Namboole. “Nomination of the NRM presidential candidate H.E. Yoweri Kaguta Museveni will take place on November 3.” Thereafter the President will address a post-nomination public rally at Kololo.